Wireless Body Area Networks (WBANs) applications have emerged as one of the most recent research areas of wireless sensor networks. Lots of research is improving QoS factors in sensor networks. However, QoS requirements vary from application to application, WBAN applications are very sensitive, and QoS issues in WBAN need major concern and focus. This paper outlines the WBANs QoS requirements and factors and reviews with emphasis on their strengths some medium access mechanisms that response to some QoS challenges. Moreover, the authors have defined and specified a QWBAN MAC protocol that can allow the integration of QoS architecture over WBAN. A set of QoS modules such as admission control (CAC), bandwidth allocation and scheduling are discussed. Besides that, an integrated QoS architecture is suggested for WBAN to support healthcare applications. The recent advances in micro-electronics, circuit’s integration, system-on-chip designs, wireless communication and low power intelligent sensors allowed the realization of wireless networks managing the human body functionalities which is called WBAN (Wireless Body Area Network). A WBAN is a collection of miniaturized wireless nodes with sensors, which supervise the human body functions and its environment. 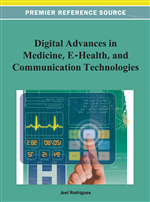 Moreover, WBANs meet many needs for the market in a variety of innovating and interesting applications such as the military applications, Healthcare (Choi, Kang, & Choi, 2008; Li, Takizawa, & Kohno, 2008; Li, Takashi, Toyoda, Mori, & Kohno, 2009; Tapia, Ajith, Corchado, & Alonso, 2010) safety, the entertainment and the urgency (Jobs et al., 2009). Consequently, the IEEE has chartered a new sub-working group (TG6) under the 802.15 umbrella that is going to actively working on standardization of IEEE802.15.6 (IEEE Computer Society, 2010). WBAN components consist of multiple sensors, possibly actuators, relay nodes and gateway or sink node for forwarding information from sensors into outside networks. All these components are equipped with wireless radio interfaces. A WBAN include two kinds of nodes implantable and wearable. Implantable medical devices that are implemented inside human body have several critical requirements such as power consumption, data rate, size, and low-power medium access control (MAC) protocols. Wearable medical devices putted on the human body supervise without interruption the patient information. These devices provide continuous health monitoring and real-time feedback to the user or medical personnel. These devices communicate through wireless technologies and transmit data from the body to personal server implemented on a personal digital assistant (PDA), cell phone, or home personal computer. The personal server sets up and controls the WBAN, provides graphical or audio interface to the user, and forwards the information about health status to the medical server or to a hospital, clinic, or elsewhere in real time through the Internet or mobile telephone networks (e.g., GPRS, 3G). The medical server keeps electronic medical records of registered users and provides various services to the users, medical personnel, and informal caregivers. In Figure 1, we have illustrated the architecture of wireless body area network in e-healthcare application.